This is the rare Second Life news that is worthy of full superlatives: it's the highest profile example of an SL-to-RL rights deal so far, leveraging Linden Lab's policy in which Residents retain the underlying intellectual property rights to content they create in-world. (It far eclipses Tringo's SL-to-Nintendo Gameboy deal of a couple years ago.) It's the first SL machinima to sell to a major TV broadcaster. (Longtime SL auteur Pierce Portocarrero recently landed a well-deserved development deal with NBC on the strength of his Second Life machinima like this one, but to my knowledge, the network didn't purchase the broadcast rights to Pierce's existing works.) It's also the first time SL-based content has landed someone a Hollywood agent, for in the acquisition process, Gayeton secured representation with UTA, among the industry's "big five" firms, which also counts Johnny Depp, Harrison Ford, and the Coen Brothers as clients. I suspect some non-Second Life superlatives are in order too, though I'm less sure here: it's probably the biggest Hollywood purchase of a video which first aired on YouTube, and the most prominent distribution deal for a machinima project made in any 3D platform. Because of all this and Gayeton's relations in the film industry (more on those later), the HBO deal might very well be a disruptive one, transforming SL machinima into an accepted tool for established filmmakers. And in the process, one hopes, make stars out of artists like Lainy Voom, Robbie Dingo, and China Tracy, Residents who have already mastered the form. How did this all come about? As it turns out, mostly by accident. Gayeton explains after the break. 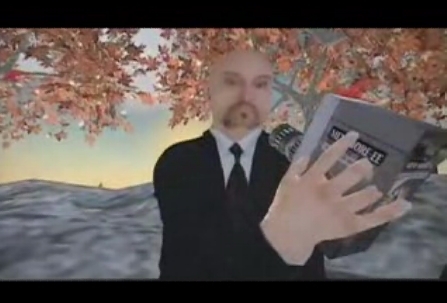 Well-versed in tech culture (working with William Gibson, he created a multimedia version of Johnny Mnemonic, the first interactive CD ROM), Gayeton learned about Second Life last year, and proposed the project for Submarine. "[It's] a Dutch company run by Bruno Felix and Femke Wolting," Gayeton explains. "The idea was to make an episodic documentary that could be distributed via the web and TV." It was meant to debut on an experimental web/television portal in Europe, but a Submarine staffer inadvertently uploaded the first episode to YouTube. Before they could take it down, I spotted and blogged about it on March 2nd, Net doyenne Xeni Jardin Boing Boinged it on March 5, and very quickly, several hundred thousand people had seen it. "It went to number one on that site in a matter of days," says Gayeton, "then attracted the attention of a number of US networks." In the subsequent bidding war, the United Talent Agency came calling (the Beverly Hills firm has been snooping for Net-based video for nearly a year now.) That then led to one of the most implausible noobs in SL's history: UTA power agent Jeremy Zimmer created a Second Life account to explore the world with his family. In the end, Gayeton goes on, "Sheila Nevins and Sara Bernstein at HBO clearly had the most far reaching vision for the project so I decided to move forward with them." This is why I think other major filmmakers will soon be playing in Second Life-- if they aren't quietly doing so already. Gayeton recommends they work with an experienced Resident to guide them, acting as their combination location scout/production designer/casting director. 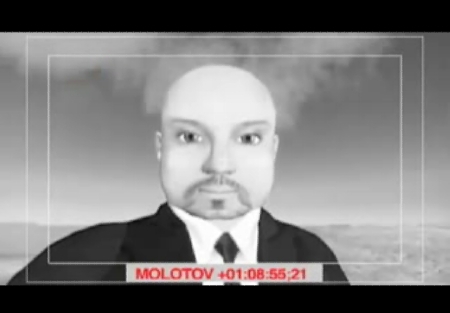 So Molotov Alva's pioneer exploration into SL may encourage Hollywood to follow. 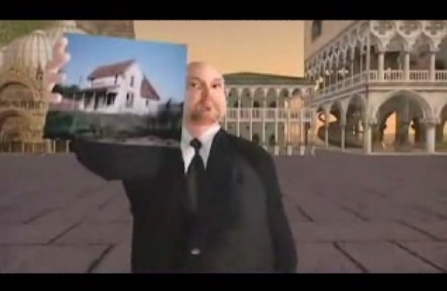 His machinima, says Gayeton, seems to be "something that helps them wrap their head around Second Life and understand it." HBO logo used for illustrative purposes only, no infringement is intended. 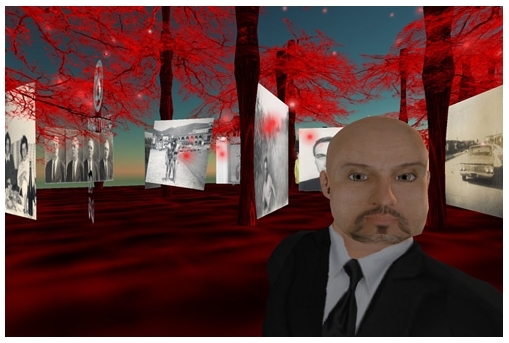 Possibly unnecessary disclosure: Gayeton is now creative director with metaverse developer Millions of Us, a sponsoring partner of this blog, but "My Second Life" was created and featured on New World Notes months before that relationship existed. Wow! And some thought the migration to this world would slow down. Just wait for the HBO screening of Douglas Gayeton's then-OSCAR winner. What a flood we will see. Lindens need to stock up ahead of time with an extra thousand server boxes. This is toooo cool. Congratulations to all of us for building this amazing place. Wow. Neat to see such a thing happen. Let's hope it is well received at Sundance. 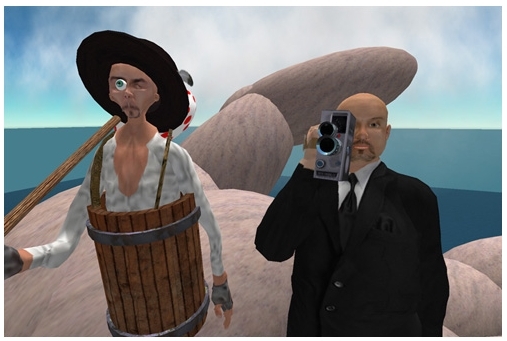 I am just one of the nearly 700 SecondLife Hobos, and I think I speak for all of us when I say that we've watched Douglas Gayeton and Orhalla Zander - as well as several others - work tirelessly on this project for some time now. 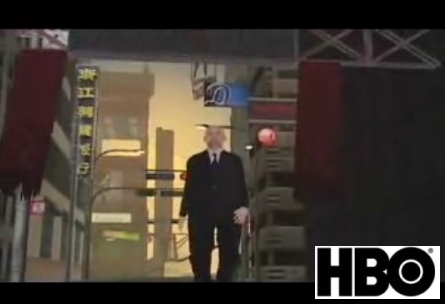 It is thrilling to see Second Life get this kind of attention - let's face it... HBO rocks! In fact, it is the only tv channel I have time for these days - but even more gratifying when the recognition points to people who already admire. /me claps, whistles, stomps! And... isn't it WAY cool that the Reuters article that is carrying this news worldwide points to New World Notes as the source that broke the story? Anyway...that short rocks, I can't wait to see whats next! *sniff* The youtube video is coming up private now. One needs an invite to view it.